One global leadership professor says anger can quickly become a way of workplace life if leaders don’t step up and solve the problem. Occasional anger is to be expected in the workplace but one leadership professor warns that, if left unchecked for too long, employees and supervisors may eventually start using rage to influence others. “Displays of anger can be so common and powerful in some organizations that employees sometimes learn to habitually use anger to get their way,” says Christine Pearson, professor of global leadership at the Thunderbird School of Global Management. Pearson has studied negative emotions and their role within the workplace for over two decades – she claims anger is not only the most prevalent negative emotion, it’s also the most accepted. Despite its pervasiveness, Pearson says workplace anger often has a significant detrimental impact on employee engagement, company culture and overall productivity. “Working with and around angry people is exhausting: It wears others out, undermines their drive, and suppresses their cognitive abilities,” says Pearson, who adds that angry encounters can easily spin into long-lasting resentment and unhappiness. In fact, research co-conducted by Pearson which was based on thousands of survey responses found that it’s not the just employees who are treated angrily that typically seek retribution or harbour animosity – those who witness such behaviour also seek recourse. That’s why, when left to run unhindered, workplace anger can quickly poison any company culture – but Pearson admits it’s not always easy to resolve conflict or calm perpetrators. 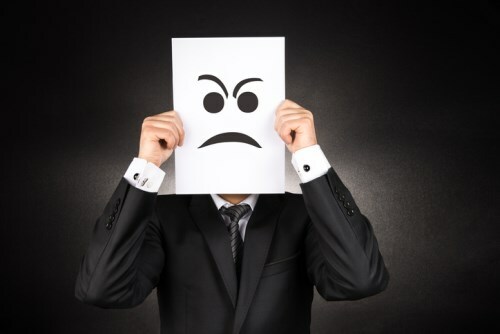 As a result, Pearson says employers must focus on not getting “sucked in” and concentrate on controlling their own negative emotions which is likely to arise. Pearson also says it’s important for employers not to side with an employee they think has been wronged. Pearson also suggests employers help angry employees consider more appropriate ways of handling heated issues, by discussing problems and developing plans to deal with similar challenges more effectively in the future. When HR professionals are the target of workplace anger, Pearson says it’s worth slowing down for a second and really listening to the feedback at the heart of the issue – even if it’s presented in a less than appropriate way. Christine Pearson is a professor of global leadership at the Thunderbird School of Global Management – more information about the role of negative emotions in the workplace, as well as how leaders can address them, can be found online.